Action Romantic Comedy - The Best of Both Worlds! What makes an action romantic comedy so very popular for audiences of all ages? Although a typical rom-com offers its own share of twists and turns, the addition of action takes it up a notch. 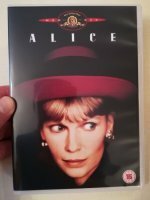 This captivating sub-genre combines romance and comedy alongside a gripping ride that’s punctuated with eye-popping excitement. Anyone looking for the element of surprise can’t go wrong with this combination. Linking the best of both worlds, these bustling tales are great for those who have been looking for a wild ride embedded within a heart-warming storyline. A bounty hunter is assigned to bring in his ex-wife. Brought to us by the director of Sweet Home Alabama and Fool’s Gold, The Bounty Hunter stars Jennifer Aniston and Gerald Butler. Panned by critics, the movie was nominated for several Razzie Awards. A case of mistaken identity turns a couple’s romantic evening into a night of mayhem. Saturday Night Live cast members Steve Carell and Tina Fey headline Date Night along with Mark Wahlberg who plays a shirtless security expert. Watch out for cameo appearances by The Daily Show’s Samantha Bee and Jason Jones. A suburban housewife discovers that her husband is a government-hired assassin. Katherine Heigl (The Ugly Truth) and Ashton Kutcher (No Strings Attached) are the leading duo in director Robert Luketic’s Killers. Failing miserably at the box office, the movie received mostly negative reviews from critics. A bored, married couple learn that they are both professional assassins hired to kill each other. 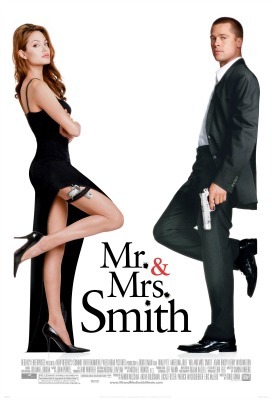 Brad Pitt and Angelina Jolie were each paid US$20m for their roles in director Doug Liman’s Mr. & Mrs. Smith. Pitt took three months break from shooting to work on Ocean’s Twelve. A New York novelist travels to the jungles of Colombia to rescue her kidnapped sister. 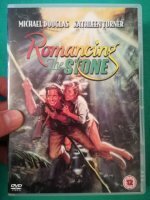 Romancing the Stone was director Robert Zemeckis’ first box office hit. Filming actually took place in Mexico due to reports of kidnappings in Colombia. A sequel, The Jewel of the Nile followed in 1985. Two CIA agents discover they’re dating the same girl and proceed to sabotage each other’s dates with her. Directed by McG, (Charlie’s Angels and The Babysitter) This Means War stars Reese Witherspoon, Tom Hardy and Chris Pine. The supporting cast features comedian Chelsea Handler who ad-libbed most of her lines.